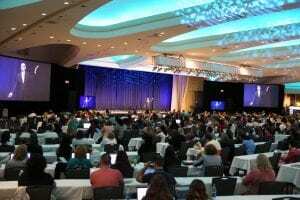 Magnificent Moments | Wedding Wire World Conference D.C. Expanding on our knowledge is really important to us here at Magnificent Moments Weddings! So, whenever an opportunity arises that gives us a chance to learn, grow, and network we are always thrilled to take part! 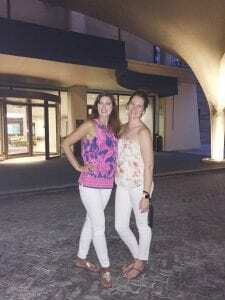 Last summer I had the opportunity to join with other wedding professionals around the world at the Wedding Wire World Conference in Washington DC. It was a great experience that gave me vital insight into the industry that I can’t wait to pass on to my brides. The conference was full of great guest speakers including Monte Durham of TLC’s Say Yes to the Dress Atlanta. His enthusiasm for weddings is nothing less than contagious! He shared so many great insights into this year’s trends in wedding fashion and styles. It was great to hear his perspective on where the industry is going. While there, I also had the opportunity to sit in on panel discussions that gave me great information on understanding the diverse needs of today’s couples and how to avoid a cookie cutter approach to weddings. I loved learning how to delve deep and embrace each one of my clients unique “couple style”. 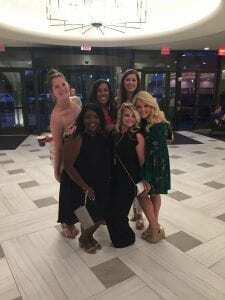 The best part was I got to enjoy this experience the conference with fellow Charlotte area vendors from, The Separk Mansion, Mint to Be, Ritchie Hill, and Avonne Photography. We had a great time learning together and more importantly networking with other areas and national vendors! In all this conference had to be one of my highlights last year. Wedding planning is truly one of my passions and being around like minded people is always great!. I received so many great ideas that I just can’t wait to share with my 2018 brides! Looking for someone to help plan your wedding? Contact Magnificent Moments Weddings. We would love to share our ideas with you to help make your dream wedding a reality!